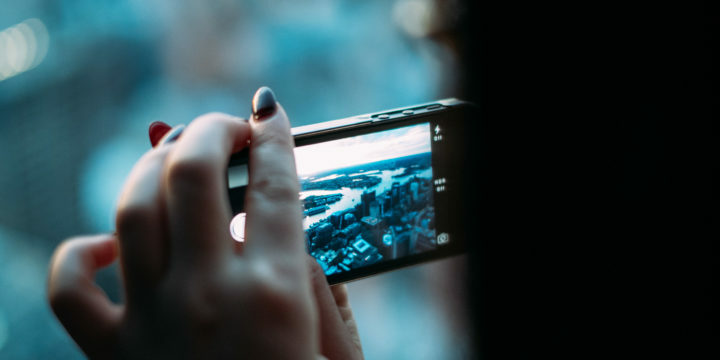 Banner ads are a great way to get your message out, but online video marketing is quickly on the rise, according to studies like this. Colleges and universities not only need to use video, but they need to know how to use it for their specific goals. But why invest in something when you cannot calculate direct revenue from your investment and it likely will give your finance team a few gray hairs? The answer lies in how we as humans function. The faster our society moves, the faster we want answers. Ten years ago, we were still listening to the eardrum-scorching orchestra of dial-up, just hoping we could load a webpage by the end of the night. Today we demand results immediately. In 2012, Pingdom conducted a weird study by loading the top 50 modern websites on dial up. Loading a website made in 2012 on dialup would take an average of 105 seconds with the slowest time being 10 MINUTES! Can you imagine waiting 10 minutes to find out when your package from Amazon would be delivered? According to The Telegraph we don’t have that long. The attention span of an average human is less than that of a gold fish — and has dropped from 12 seconds in 2000 to 8 seconds in 2016. Let’s face it. These days you have less and less time to get your prospect’s attention and deliver enough of your message to get them to hang on for another 8 seconds, like a rodeo on repeat. That sounds pretty stressful until you hear that, according to several studies, including one by Business 2 Community, the brain processes images 60,000 times faster than it does text. And if images get processed that fast, how much faster do videos get processed? Ninety percent of the information sent to the brain is visual, and 93 percent of all human communication is visual. It’s clear that the road to customer interests is through the eyes. All in all, we can clearly see the importance of video as you build your marketing strategy moving forward. We must understand how the ever-changing technology affects the way we receive information and how to effectively communicate our message at the speed in which it is demanded. As you work to maintain and grow your audience, integrating video will be key to your institution’s success. Of course, we cannot tell you that, if you make a video that is this long or contains these words, you will enroll X-amount of prospective students. But what we can tell you is what kinds of videos can be very effective based on your specific goals. That, combined with how brief your window is and how your audience receives information, should give you great confidence to bring this up to the powers that be. Videos come in various shapes and sizes and are specialized for different goals, so knowing which video to use is key to saving you time, money and, hopefully, will give you confidence to make more; improving the quality as you learn how your audience responds to them. Ascend2 recently conducted a great study of how marketers viewed videos and their effectiveness. 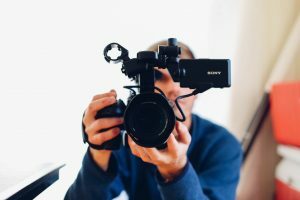 In their study they found that the top three most effective videos were Testimonials, Explainers and Demos, followed closely by Thought Leader Interviews. Now, wanting to make videos but not knowing which kind to use could leave you confident but dangerous, like a kid left Home Alone for the first time, and we all saw how that went. We don’t want you to end up doing more harm than good, so let’s review a few major goals and what kind of videos are most effective in achieving them. If you are rebranding your college or university and want to let people know who you are, investing in an Explainer video is an effective tool. They are a great way to show the overall operation of what you do in a fun, engaging way. Another great video for brand awareness is a short interview from the president. In the enrollment sphere, this could take the shape of a video message from the president, explaining the goals of the university. Or, a video interview with a student explaining what the college means to them. If your goal is website traffic, you need something that is going to get people to bookmark your site and keep coming back for more. The most effective way to do that is by daily/weekly video blogs and how-to videos, which bring a more personal aspect than pure text (yes, I know you are reading a text-based blog which serves a different purpose). Video blogs are simple and quick, so people can work them into their routine without disrupting their daily flow. You want to be a part of their morning habits, to check out your video after they have checked their email while they drink their first sip of their morning joe. Lead Generation can be a little harder at this point; people should know who you are but haven’t really bought in. Great ways to break that barrier are product demos, interviews with experts in your field, and testimonials from some of your existing students or proud alumni. These answer the three major hurdles people need to get over to buy into the vision: How does it work? How credible is it? And, ultimately, does it really work? Most people investing money want to know it’s safe, to take as much risk out of the equation as possible — and hearing it straight from the horse’s mouth is the best way to do that. As with most things, when it comes to videos you get what you pay for, so don’t just pick up the first shiny toy you see. 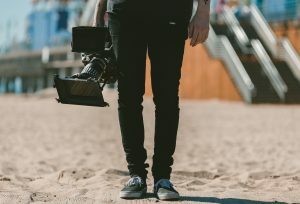 As cost-effective as it may seem to have videos done in-house (or by your buddy), without professionals you won’t get near the mileage out of your videos. Anyone who has watched a local dealership commercial vs. a national car commercial knows what we’re talking about. You aren’t sold by the local man; you just wait to hear the deals they have. But your interest was piqued long ago by the real deal.